Until today, I have just admire the C7 for what it is and didn’t really care too much for them. But after going down a rabbit hole of looking at modern parts to retrofit into my C3, I have begun to noticed how heavy all it’s styling cues are influenced by the C3. The front bumper, side gills, quarter panels, back deck... all existent in like fashion on our beloved c3. Not just “that’s because it’s a corvette” either. 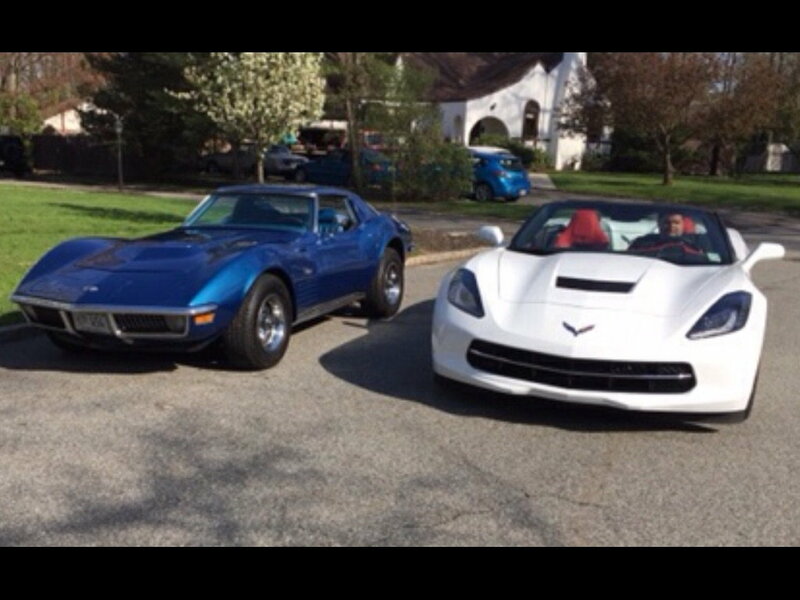 The c7 has more styling from the C3 than any other year when I look to compare them side by side. But hey, just my observation. Doesn’t mean it’s true. The C7 is the only other Corvette I find interesting to look at. I have a C7 hood vent shroud (the part that goes on the inside of the hood). It should fit with only a small modification to accommodate my L-82 intake. The side vents on both are already functional. I own a C7 and C3. I never was crazy about C7's either, however they do grow on you. The performance is simply super. The big thing I notice in support of your post is that the C7 has sharp creases at the top of the fenders just like the C3. The C6 and C5 were all rounded fenders. 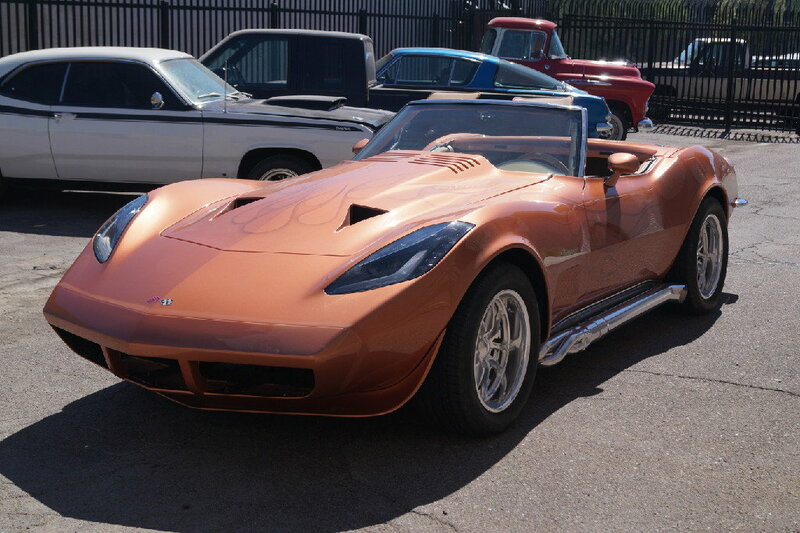 And of course there is the "Stingray" name!!! I agree with you... the high fenders and hood cowl are 100% C3 inspired. I also have a C7 and I love to drive it. 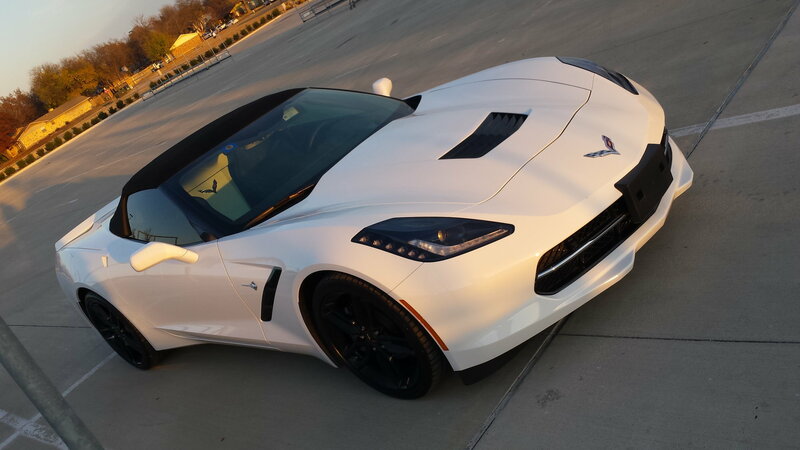 It has the quickest response of any Corvette that I have ever owned. As far as the Stingray name, I take credit for it. It has not reminded me of the C3 styling, but seems to borrow more influence from the Ferrari California, especially my red convertible. When the C7 was in development, I took part in a Corvette owners survey about what we would like to see in the C7. (maybe on here, I don't remember) My idea? Bring back the Stingray moniker. Not really sure if it had anything to do with it, but it may have gotten someone thinking. Last edited by crawfish333; 03-07-2019 at 01:16 PM. I've spent a LIFETIME studying the styling of the C-3....I'm an ex car designer. So here are some 'BEGATS' (you know from the bible). C-4 ugh! Camaro? LOL Was begat from a snap-together model from Revell, I guess. C-5...making their way back to the C-3 250GTO era. But that bulbous ***...I dunno! C-6 A little more peaked fenders, but lost the unified nose with the ugly headlights (IMHO) Some 'coke bottle' in the styling. Kamm tail comes back. Bill Mitchell "if you're gonna 'crib' crib from the best. I agree the C-7 is the most C-3 like of all subsequent generations...but all the flappy-doodles and excrescences turn me off....all those pretty much go away on a black C-7 however. This is what is called 'the surface development' school of design....see ANY Japanese car to understand. I have both.... both are blue... and I don't see the resemblance...lol... Not at all. I do love them both though. When I first saw the release promos for the blue C7Z convertible, I was in utter amazement of the looks of it.... I had to have it. Took me a couple years to get one but, I got what I wanted. That said, I still love the 71' a lot more and it'll always be my favorite. I bought a new C3 1977 L82 in 1976. ​​​​​​​My bought new 2017 C7. Meh, I think you're reaching. Last edited by jr9170; 03-07-2019 at 08:02 PM. I am going to lay out my case in side by side pic comparisons. Give me a day. I’ll have a ton of evidence to convince the non believers. Also. FWIW, if I ever find a wrecked C7 for cheap, I’ll see about massaging the creases smooth all around. I'm probably one of a very small minority that thinks the C6 is a better looking car then the C7. The C7 convertible is a winning shape except for those ugly tailights. Why didn't they stay with the 4 round tail lights? Also the C7 is so much wider than the C3, but the interior is so tight. My Karmann Ghia is roomier inside. I'm not much for modded cars, but I like that. It works. Last edited by Big2Bird; 03-08-2019 at 02:48 PM. Actually, there's not a lot of body difference between the '90s Trans Am and the C5 and C4. In fact you've got to double take the Trans Am and Formula that's a dead ringer for the C5 from the front or rear 45°. The C5 has nearly identical pop up headlights as the Firebird! The C6 is almost as uninterestingly "body flat boxey," as both previous C series - to me. Not afraid to talk about the "elephant in the room"
. Pics in sig.....unless they aren’t showing up or something . Looks like they are there. I can post more though.